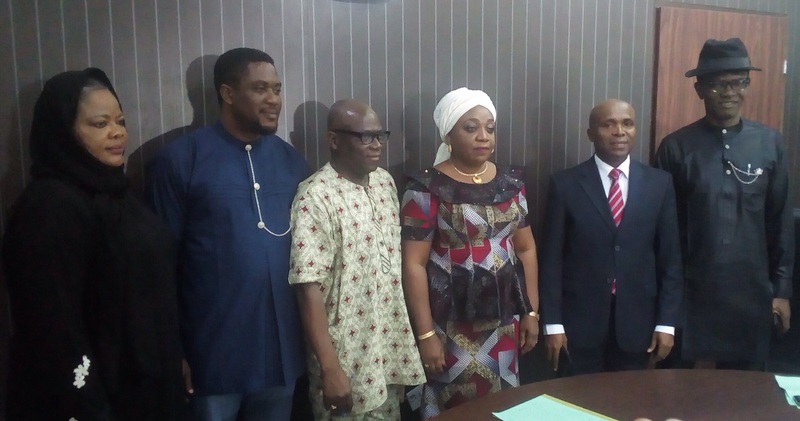 From left: Head, Corporate Affairs, Nigerian Agricultural Insurance Corporation, Magdalene Omosimua; Special Assistant to Managing Director, Funsho Olumoko; Deputy General Manager, Technical, Kunle Martins; Managing Director, Folashade Joseph; Executive Director, Finance/Admin., Philip Ashinze and Deputy General Manager, Legal, Chike Okafor at the event. The Nigerian Agricultural Insurance Corporation (NAIC) has sympathized with insured farmers and farmer groups whose farms were ravished by recent floods in the country. 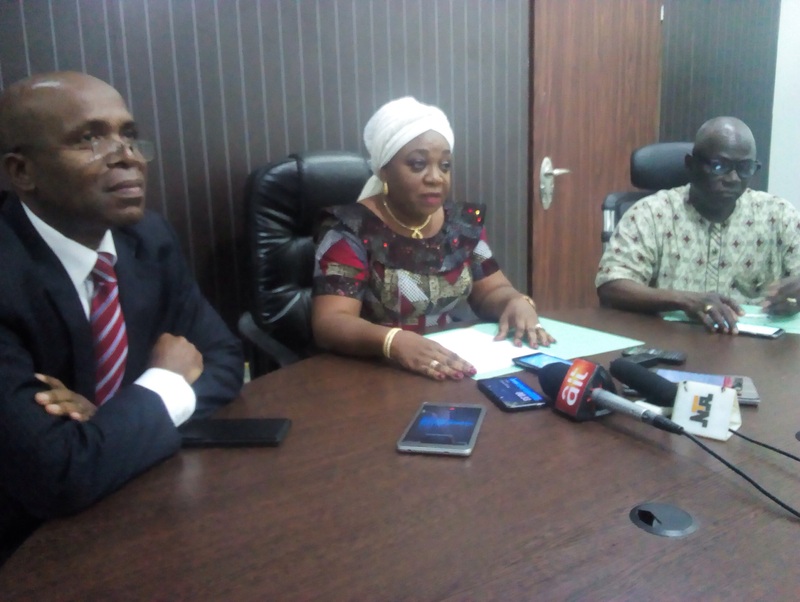 Its Managing Director/Chief Executive Officer, Mrs Folashade Joseph, expressed the concern today at a press briefing in Abuja, stressing that the corporation is mindful of its corporate responsibility to give the affected farmers relief and plough them back to prosperity through prompt payment of appropriate compensation. “While the corporation encourages its dear insured farmers to make all efforts possible to Avery and minimize the untoward effects of the torrential rains and floods on their farms, they should please, promptly inform the nearest NAIC office, in their states, of their travails in order that appropriate support will be extended to them in a timely manner,” she said. She also sympathized with uninsured flood victims who did not have NAIC cover, urging them to insure their farmlands through the agricultural insurance solutions of the Corporation, which, she noted, was in accordance with the policies of the government to offer protection to farmers who have answered the patriotic call to go back to agriculture. Apart from insuring the risk of loss of crops from flood, she pointed out that NAIC provides insurance against crop losses arising from fire, lightening, drought and pests; adding that, risks of death of, or injury to, livestock caused by accident, disease, fire, lightening, storm or flood are also insured by NAIC. From left: Executive Director, Finance/Admin., Nigerian Agricultural Insurance Corporation, Philip Ashinze; Managing Director, Folashade Joseph and Deputy General Manager, Technical, Kunle Martins at the event. She posited that the beauty is that the assessed premium payable to NAIC is subsidized, noting that the subsidy is 50 per cent reimbursable to the Corporation by the Federal and State Governments and that these are efforts to provide a secure future to farmers and eliminate the need for unpredictable ad-hoc assistance when insurable losses occur. Deputy General Manager, Technical, NAIC, Kunle Martins, said the firm a parts from its core underwriting also offers yield and revenue insurance, stressing that the firm will continue to evolves new products as situations demand.